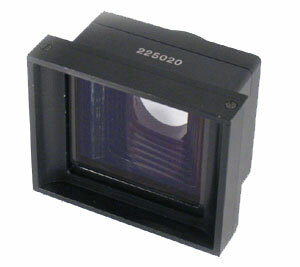 16:9 Anamorphic AdapterDesigned specifically for miniature 4:3 aspect broadcast quality CCD cameras. The Anamorphic Adapter converts the image ratio so that when recorded by a 4:3 aspect camera the image is captured as 16:9. The design is small and compact to suit the miniature cameras.